Moored in the peaceful beauty of Yalova on the eastern coast of the Sea of Marmara, the Sirena 58 looks every inch the long-range cruiser. Designed for independent exploration, the 18.6 metre yacht emits a silent siren call for adventure at sea. 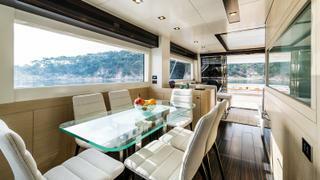 But, crucially, it has to be a comfortable adventure, says İpek Kıraç, Sirena Yachts' CEO. 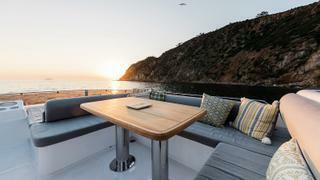 “Once you are on a yacht, after a certain amount of time passes, you start missing the comfort of your home. We wanted to create yachts that would make you miss your home less and that’s what defined the brand. Sirena Yachts delivers superyacht solutions, comfort and quality to smaller size vessels.” It’s hard to argue when touring the 58, the newest – and smallest – member of the Sirena fleet. 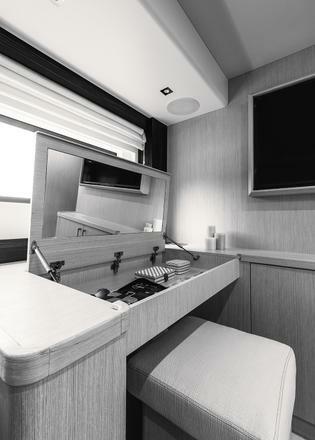 The light, bright interior packs in plenty of volume for her length and there is no shortage of deck space and lounging options. It was this feature, as well as the opportunity to operate single-handedly, that convinced shipyard owner Kıraç to buy a Sirena 58 for herself. “By using the [forward cabin] as my master cabin, I have a private access to the front deck, which gives me a superyacht kind of privacy and comfort.” Another well known superyacht name was brought in to handle the naval architecture – Germán Frers. He describes the 58 as “a mini explorer yacht”, but this isn’t some 12 knot plodder. The 58 and 64 are signals of intent for the ambitious young yard. Next comes the 85, but Kıraç reveals that her plans don’t stop there. 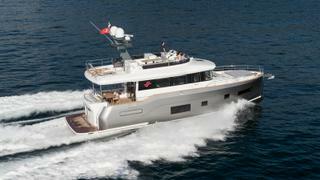 “We are going to see bigger ranges in Sirena Yachts, as well as other new models within the existing line,” she says. “As the 85 project proceeds, we will be both working on a superyacht range and the new Sirena Yachts range simultaneously.” That’s quite a statement from a shipyard no one had heard of until a few years ago, but like its boats, this is one yard not scared of a little adventure.